THE Defence Headquarters said on Friday there was a fresh plan by some interest groups to embark on a renewed campaign calumny against the military, with the sole aim of attracting international condemnation and indictment of the Nigerian military and its operations in the northern part of the country. The Director of Defence Information, Major-General Chris Olukolade, the said the military had got wind of the campaign, which relies heavily on doctored and falsified audio-visual materials, some of which are already trending in the social media. According to Olukolade, the plan would be coordinated and funded by a prominent political leader whose state is presently under the state of emergency. The statement reads, 'The details of the plan, which is already being fine-tuned by a group of media professionals, (are) to be presented for the final ratification and funding by the political figure. The design is expected to forcefully whip up sentiments of genocide allegedly targeted against a particular religious group. 'The planners of this crusade also hope to use it to gain some mileage in the drive to secure international attention as they have not achieved this sufficiently despite previous efforts. The programme, which is also meant to reinforce the ongoing media campaign against the military, was adopted as an alternative by those who are bent on politicising the ongoing counter-terrorism operations in the northern part of the country. 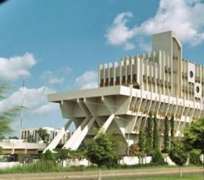 'It will be recalled that a newspaper, apparently testing the waters, last week published some of the doctored pictures which the Defence Headquarters instantly repudiated, pointing out that they do not represent activities or operations of the military. The military spokesman further emphasised that acts of terrorism were against all Nigerians and all peace loving people all over the world, stressing that no amount of propaganda by apologists of terror group attempting to cast the Nigerian military and security forces in bad light could justify the evil acts of terrorism by.